Recognizing that innovations in technology are changing the banking industry at breakneck speed is essential in today’s fast changing environment. Both new and existing customers demand fast and reliable banking services. The new digital approach offers swift personalized services, increases operational profitability, and, most importantly, aims to grow the number of satisfied and loyal customers. Customers can interact with their banks whenever they like, however they like – over the web, mobile phone, tablet, smart watch, contact center, kiosk, SMS or any other channel. Such Digital Banking vision is crucial in today’s fast changing environment, where customers demand new and inventive services used in a way different from traditional banking. An approach like that is the foundation for offering better services, and, ultimately, for creating better profit and customer satisfaction. Customers should experience the brand, not a channel within a brand. All of the channels – the Internet, smartphones, tablets, contact center, ATMs – must work together to provide the best user experience, regardless of the device used. 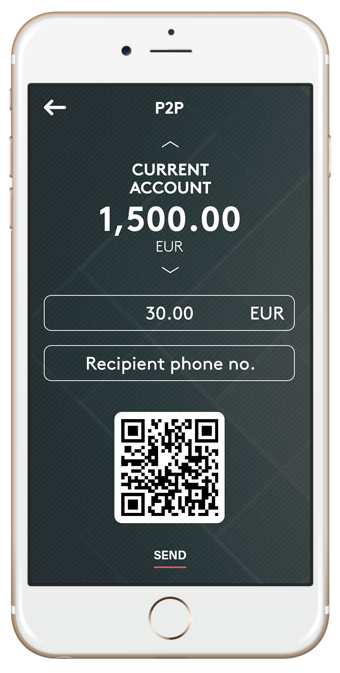 iBanking, a true Omni-channel banking solution, offers seamless channel-hopping so that customers can switch between any channel and keep their workflow smooth: any updates made via one channel are immediately accessible on all other channels, allowing customers to really use digital banking in the way most convenient for them. 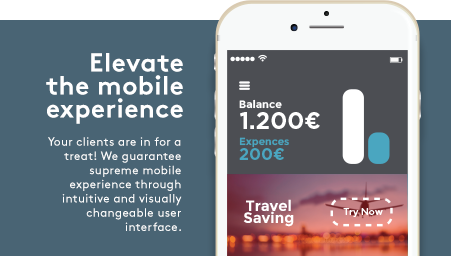 All front-end channels are supported: web, mobile, tablet, ATM, kiosk, SMS, etc. Major web browsers are supported on Windows, Mac OS and Linux, as well as the latest versions of iOS, Android and Windows mobile operating systems via native apps. Mobile onboarding is both opportunity and a challenge. The key to success is to make the process as perceptive and simple as possible. 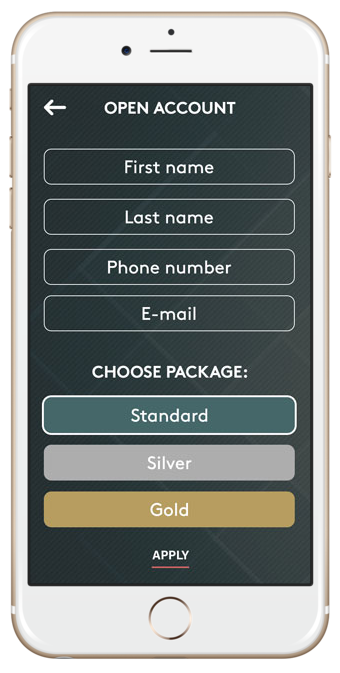 Cut down branch visits or eliminate them altogether by providing customers with a genuine app. Our solution simplifies your online customer acquisition. Plan your spending for each category month by month. See if your expenses are above or below the estimated amounts. Plan your spending for each category month by month. See if your expenses are above or below the estimated amounts. 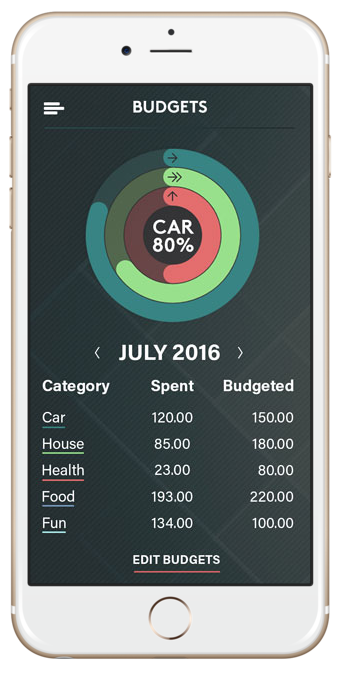 Your expenses are automatically categorized for easy overview of your spending habits. 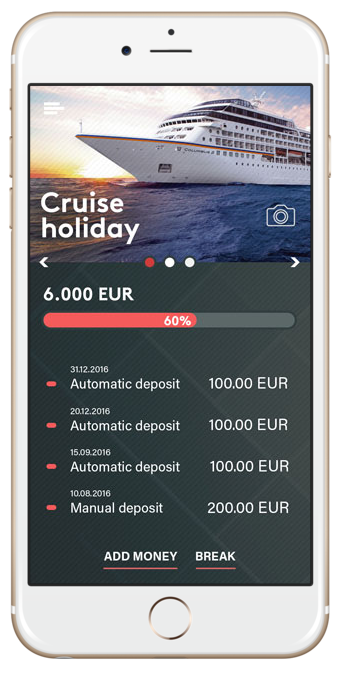 Assign a specific goal for each of your savings accounts – “Cruise holiday”, “Buy a car”, “New computer”, etc. Assign a specific goal for each of your savings accounts –“Cruise holiday”, “Buy a car”, “New computer”, etc. or use the app to make ATM withdrawal without using your cards. 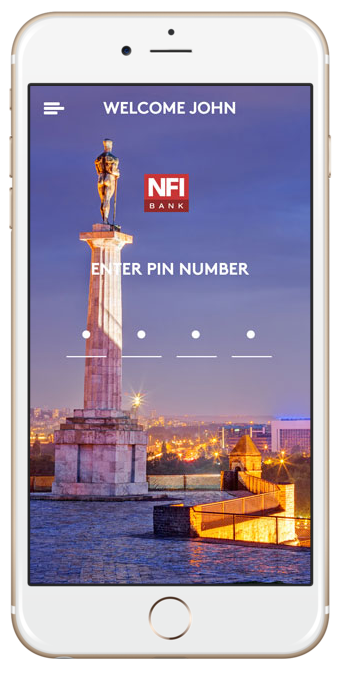 Send money to any person directly from your account, or use the app to make ATM withdrawal without using your cards. and send the documentation using phone camera. Apply to open an account directly through mobile app, and send the documentation using phone camera. Use a PIN to log in instead of typing username and password. 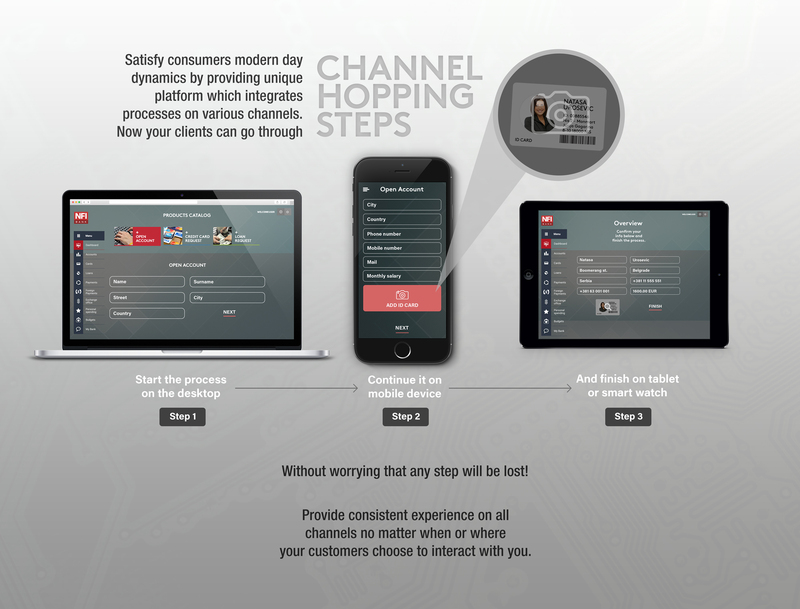 Omni-channel delivers seamless user experience via channel of choice based on customers needs. It provides one unique platform for various channels compared to each channel having their own solution. This big data will enable companies to point the consumer to the channel that will provide the best, personalized experience for him. Rather than looking at channels independently, financial and non-financial companies need to develop and provide financial tools that are integrated in daily life – getting emergency cash at the groceries, in-store financing for that new smartphone or hi tech gadget, savings triggered via wearables, with interest rates determined by social media and behavior. Integration of processes from customer point of view is the basis for the future Omni-channel possibilities. Under the hood, iBanking is an n-tier system, with its state-of-the-art Digital Core middleware as the hub for all integrations and fintech services. Besides offloading integrations with external systems from Core Banking Systems, it controls all channel front-ends, handles automatic and human workflows, personal finance management processing, predictive analytics and other advanced tasks. 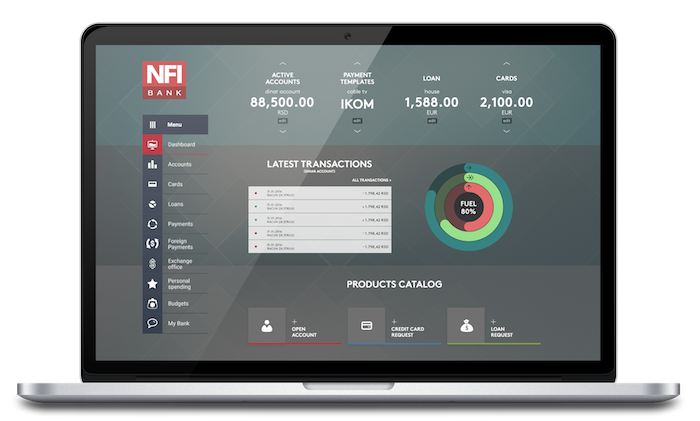 The front-end is fully customizable, allowing bank administrators to manage User Interface and User Experience without any need for programming and change requests. 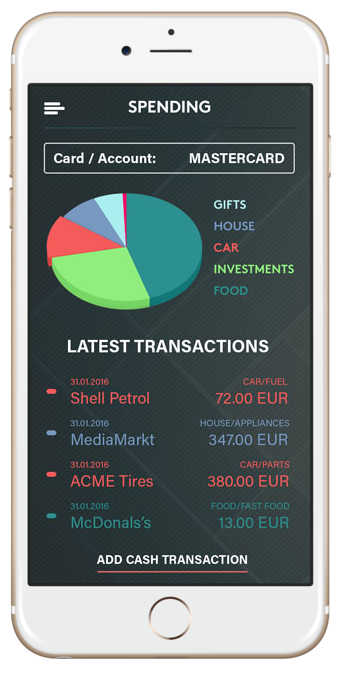 iBanking administration portal visual tool is used to create web and mobile application designs, as well as page and widget layouts, with intuitive drag & drop interface. Even the mobile application UI & UX can be updated with just a couple of clicks, without users needing to update the apps to see the changes. This allows banks to quickly release new products to market, and to experiment with innovative approaches to customers.